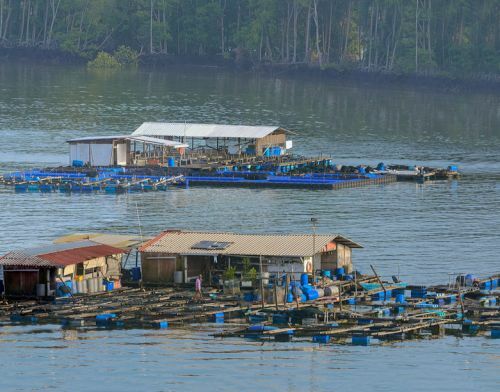 Selangor, Malaysia, Dec 5, 2018 - (ACN Newswire) - Small-scale fish farmers in Malaysia earn 2.5 times more farming aquaculture in brackish-water, compared to fresh water, according to a study in the Pertanika Journal of Social Sciences & Humanities. Kamaruddin queried 216 small-scale freshwater and brackish-water pond fish farmers from the state of Kedah about their assets, such as education and investment capital, fishing strategies, and household income. The highest incomes were among brackish-water fish farmers - in part because brackish-water species generate higher profits, but also because brackish-water farmers are more likely to use best management practices than freshwater farmers. Brackish-water species require intensive care, so farmers use best management practices such as pond preparation and fish health management to help ensure high survival rate and best quality produce. 43400 Serdang, Selangor Darul Ehsan, MALAYSIA.